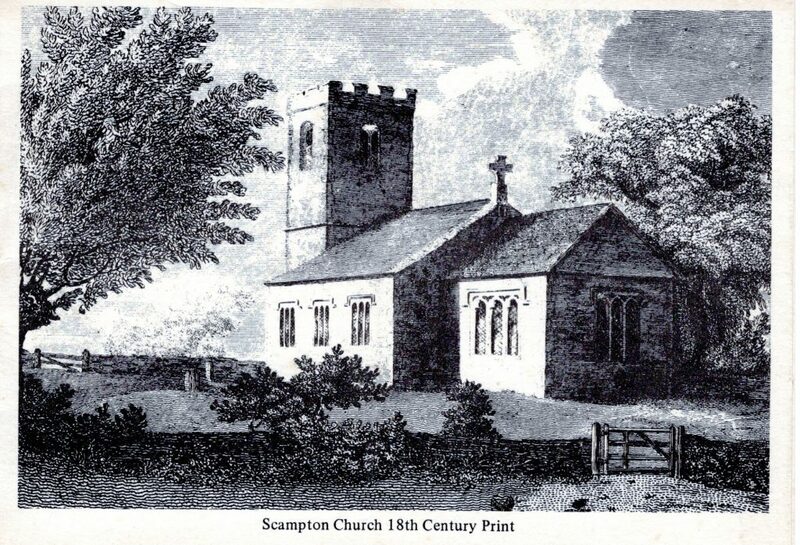 Scampton church is dedicated to St. John the Baptist. There was a church on this site before the Norman Conquest but no part of the present building seems earlier than the first part of the 14th century, to which period the nave pillars and arches may be attributed. The previous building was much larger than the present one. It became dilapidated in the 18th century and was almost entirely rebuilt in 1794 at a cost of £400. There was a further restoration in the 1870’s. There are three bells, one of which bears the date 1582. The registers begin in 1538, the year in which registers were first ordered to be kept in England. Extant registers of this early date are unusual. 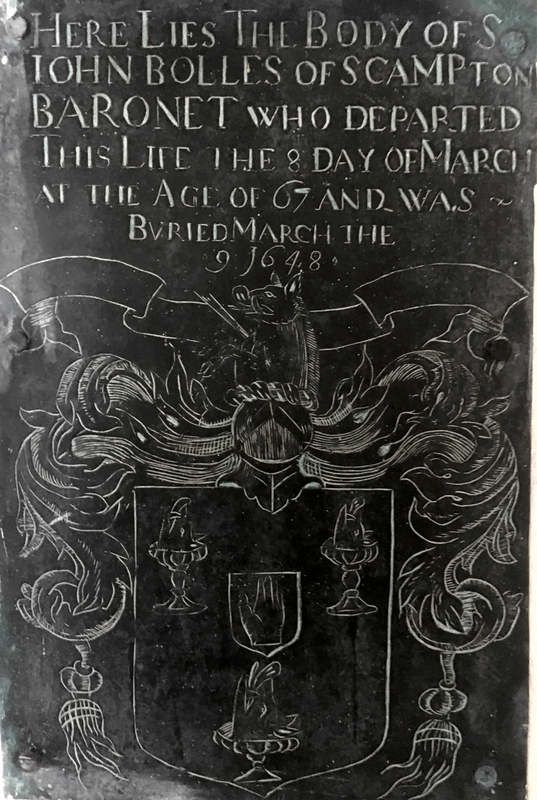 The small monumental brasses on the north wall of the sanctuary relate to the Bolles family, who were lords of the manor in the 17th century. One of their number, Sir George Bolles, was Lord Mayor of London in 1617. The manor of Scampton was given by William the Conqueror to the celebrated Gilbert De Gaunt. It was afterwards given to Kirkstead Abbey. In 1590, it was the property of Sir John Hart who's daughter carried it in marriage to Sir George Bolles a church benefactor. 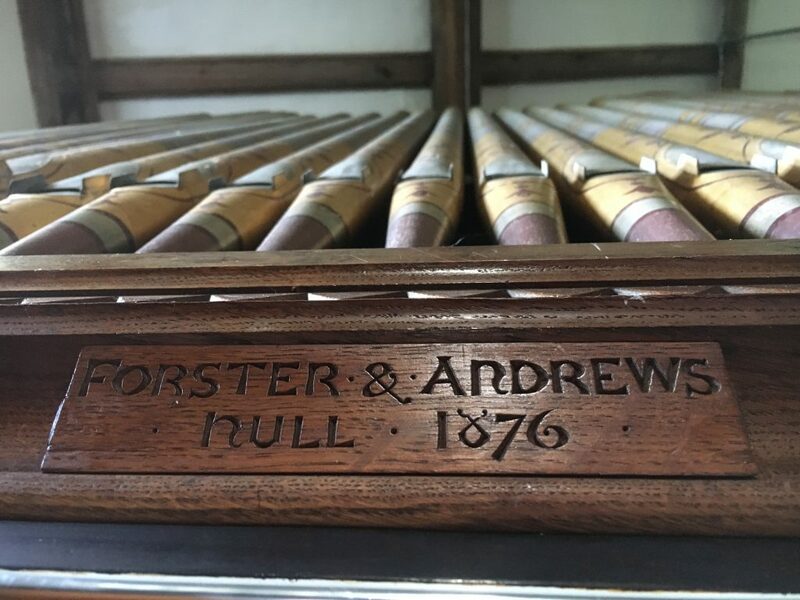 The organ was made by Forster and Andrews in 1876. In 2011 skeletons were found in a field near the church, some enclosed in rude stone coffins, so that it is probable that the Saxons had used part of a building there as a chapel and place of sepulture. It is recorded that there was anciently a chapel at Scampton near an adjacent spring called St Pancras's Well. A feature of the churchyard is the double section of graves of members of the Royal Air Force. These men, representing nearly every one of the Dominions, met their deaths during the war, through wounds or in crashing aircraft returning from raids on enemy territory. Because the Royal Air Force station is in the parish the men were buried here. Gravestones have been provided, and graves are maintained, by the Imperial War Graves Commission. There are eight German war graves, situated near the road. These men belonged to German aircraft which had attacked military objectives in the district and had been brought down nearby. Sometime later it was discovered that there was an extra man on board one of the aircraft and so a name was added to one of the original headstones. Burials from Royal Air Force Scampton have continued since the war in a separate section of the churchyard and this is maintained by the Department of the Environment. The slight difference in the shape of the top of the headstones indicates the various sections. In January 2016 we were successful in securing a grant to start repairs on the roof of our church. The funding has meant we can repair the North Aisle, RAF Chapel and Vestry and the Chancel Roof. This is just the start of our Vision to make St John the Baptist an amazing, comfortable and warm church that is here for future generations and will continue to be used by local community groups, schools and congregation. Church organ - highly decorated and made by Forster & Andrews Hull.